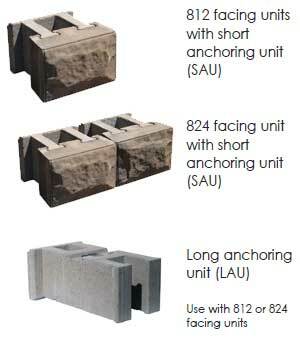 AB FIELDSTONE® Collection - The Revolution in Retaining Walls We Have Been Waiting For! Introducing the first Eco-Friendly mortarless concrete retaining wall system - the AB Fieldstone Collection®. Using recycled materials has allowed us to create a "green" retaining wall system that is safe for the environment and is able to use post consumer materials without taking away from the quality of the blocks. AB Fieldstone is GREEN. Every block is made with locally recycled material in the back of the block. AB Fieldstone is NATURAL. Every AB Fieldstone facing unit is cast to emulate the look and feel of natural stone. Choose the look you want from our Series of styles. AB Fieldstone is FRIENDLY. The blocks are made in two pieces making them lightweight and easy to handle. This innovative new product has unlimited possibilities in style and constructability. The ability to build taller gravity walls with the same installation practices as our AB Collection, there is no new installation process to learn.